As per latest statistics the Google Chrome browser counts for more than 50% of the mobile browser share in the market. Google, the brains behind the successful browser have announced that they are improving the offline abilities of Google Chrome on Android. Google claims that ever since they launched the capability of downloading web pages of offline reading more than 45 million web pages have been saved by users worldwide. 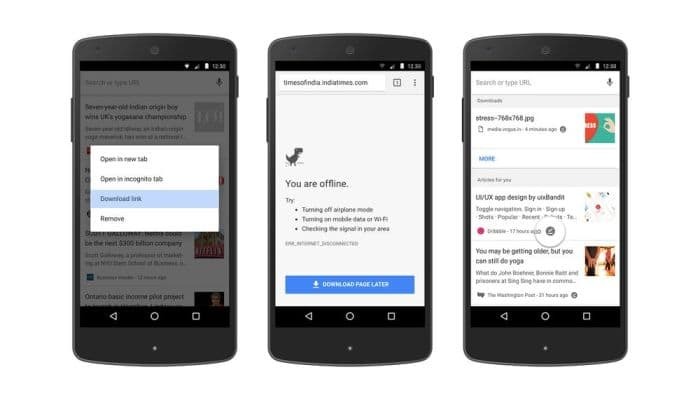 The new offline features are available on the Chrome 58 which was launched recently on May 2nd. In this article we shall not only inform you about the changes but put these changes to the test. 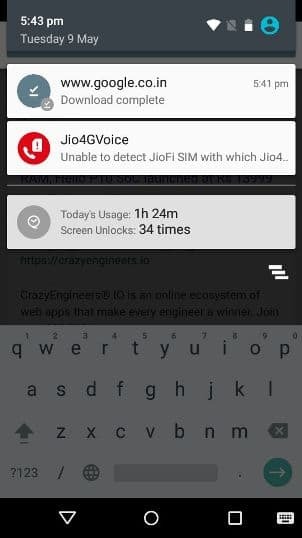 The first major addition in the offline saving feature is the long press gesture. You can now long press on any link and select the “Download link” option. This worked quite quickly as the web page was saved within a matter of seconds. When you return to the home tab of Google Chrome on Android you can see that the saved page listed in the “Download” section just below the recommended websites tab. 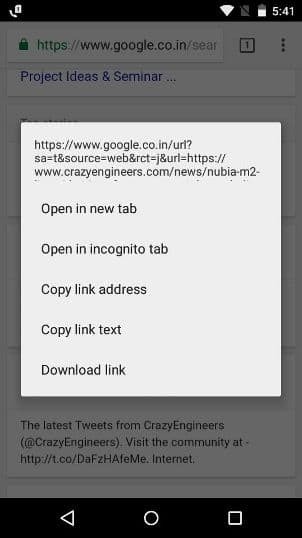 If you are someone who relies on the ‘Articles for you’ section on the Google Chrome on Android then you can save pages for later from that particular section also. As you can see from the screenshot below we have successfully saved a page from that section in just a few moments. 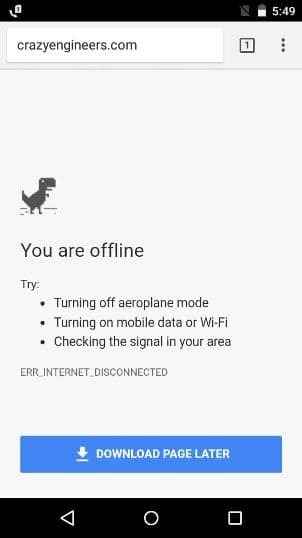 Google Chrome on Android has added a feature to schedule to download a web page later if you encounter the Chrome offline dinosaur. As you can see we have disabled our network connections and tried to visit our website. 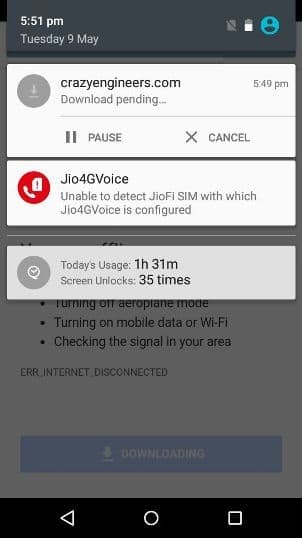 When we tapped on the “Download Page Later” it changed to downloading and it showed on the notification bar that the download was pending. Once we switched on our network connection the page took a little more time to download than it had taken in our earlier tests. This is where we noticed that we can even pause and restart the page download. This particular feature needs a little fine tuning. 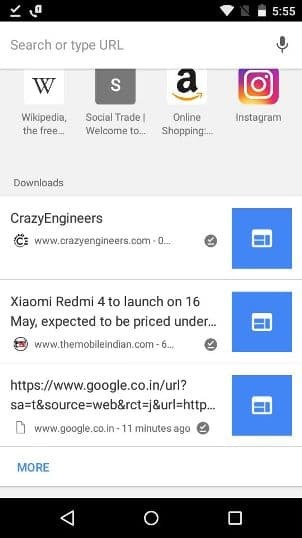 Google has also made sure that you can access your saved pages easily. 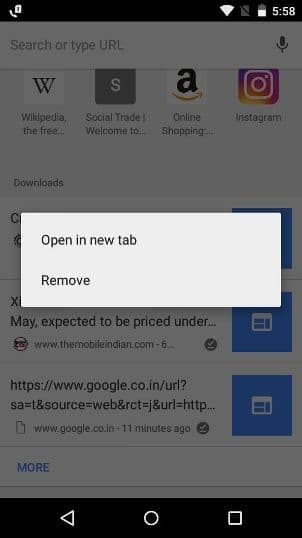 When you open a new tab on Google Chrome on Android the downloaded web pages appear below the most visited tabs with the new offline badge. In order to remove the saved web pages all you need is to long press on the download and tap the remove button. Overall the feature is a good addition to Google Chrome on Android. You need to be on the latest version of the app to enjoy this feature. We are not sure if this feature will be made available on the desktop version or not.